One of the most important priorities for Vista Sand, from the CEO down, is employee safety. 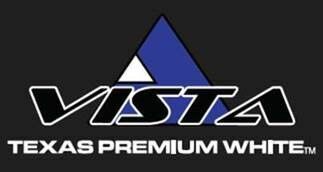 Vista Sand is committed to implementing various safety standards to ensure employees remain safe at all times. These safety protocols include mandatory employee training, ongoing and quarterly safety meetings, updating safety technology whenever possible, and step by step incident management when an accident occurs. In addition to these measures, Brian J. Hecht, Vista Sand’s CHSO, writes for a daily safety blog, discussing various safety issues in the silica sand industry and the general population as well. Now that we’re in the summer months, one of the most important factors in employee safety is reducing exposure to extreme heat. Obviously, this will depend on the industry, but Brian J. Hecht had some good info about avoiding summer heat exposure and recognizing symptoms of heat-related stress. Understand the symptoms of heat-related illnesses: There are three types of heat-related illnesses. The first is heat stroke. This is the most severe form of a heat-related illness, and it needs to be treated immediately. Symptoms include hot, dry skin, confusion, or unconsciousness. The second is heat exhaustion. It is often characterized as having clammy skin, nausea, or an overall sense of feeling uncomfortable. Heat exhaustion can lead to heat stroke if left untreated. Finally, heat cramps are painful muscle spasms caused by dehydration and electrolyte imbalance. Consider ways to stay safer while you’re on the job: There are a number of factors that will increase or decrease your risk of suffering a heat-related illness. Avoid any caffeine or alcohol as these substances will dehydrate you faster. Wear loose-fitting, breathable clothing and drink water as necessary. Finally, try to avoid exposure when you’re doing your heaviest work. Do the jobs early when it’s cooler and always work in pairs if you can.